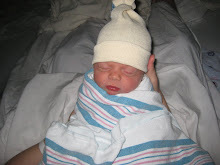 Instead of posting a picture on my blog each week I decided just to start a slide show. So, if you're interested in watching my belly grow weekly than look at my side bar each week for an updated picture. 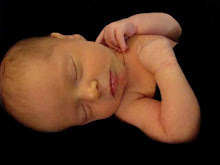 I have posted my 16th and 17th week (from today) so far. Have fun, and try not to judge too much as you watch, not only my belly grow, but my whole body grow too! I woke up this morning and I was playing with Cade's mouth. You know, helping him make goofy sounds. Anyways, I happened to rub on his lower gum and I felt something poky!! 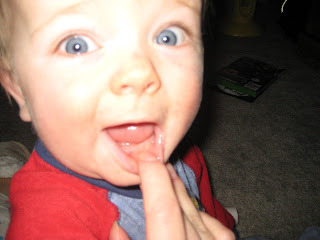 I looked, after a few of his screams, and he let me see his first budding tooth! It's on the bottom, left. I don't think you can see it in the picture, but trust me it's there! He's growing up so fast, it's sad but exciting at the same time. I'm sure all mom's know exactly what I'm talking about. Happy Brithday Cameron!! And a Happy New Year! So, happy birthday again Cameron. I hope you had a wonderful day. I'm pretty sure you got and did everything you wanted. 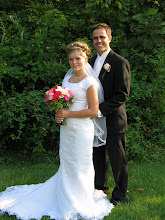 Thanks for being such a wonderful husband, father and best friend. I hope you have another wonderful year. Usually when we celebrate Cameron's birthday with his family his mom is the one that makes the cake. This year I decided I wanted to make it for him. So, here it is. 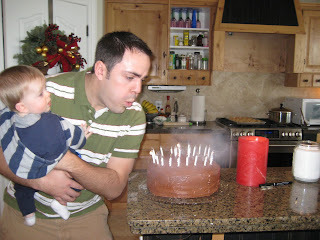 He almost set off the smoke alarm when he blew out the candles. 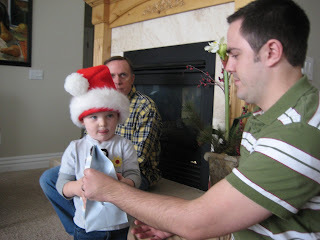 Mason was the little elf who delivered each gift to Cameron. It was so cute. 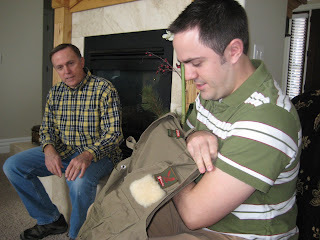 Here's the fishing vest I got Cameron, he actually picked it out off of Ebay. 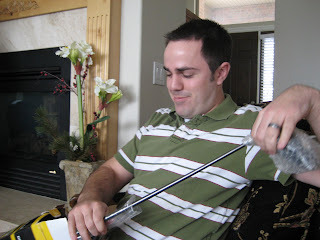 The golf clubs Cameron's parents gave him. 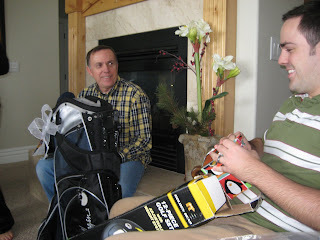 The golf bag from his parents. He's opening up the golf balls from his brother here.